Yudhika’s Durban tea party at Holi Cow…with Joanne Joseph. There’s been a wave of enthusiasm about Idli…and some people have been asking what is this thing that makes everyone go a little dippy. 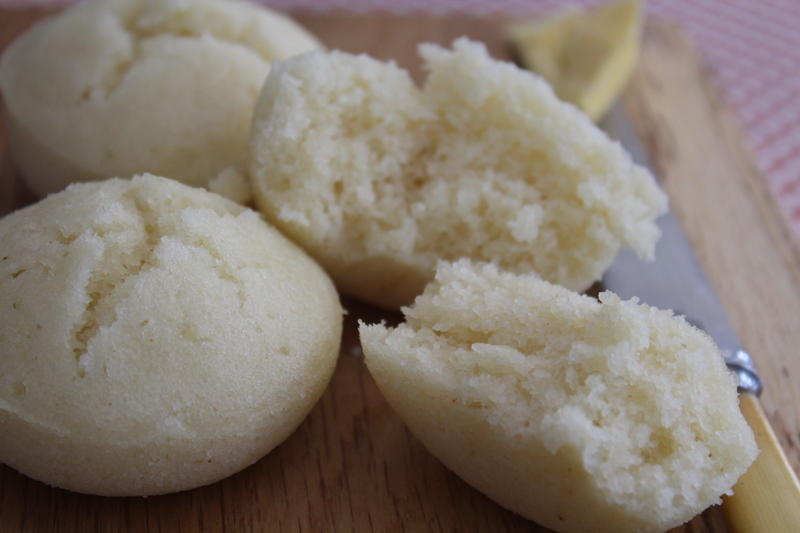 A description doesn’t do them justice…they are steamed semolina cakes made with rice flour and fresh coconut. It’s a humble treat but an irresistible one! I shared my recipe in the Post Newspaper a few weeks ago…I had been reminiscing about my childhood and the specialities that ‘oldies’ used to make….and I say ‘oldies’ fondly. I miss that feeling…eating and indulging in the food these ladies prepared could only leave you feeling loved in that very special way! I had a group of phenomenal women around for a little Durban style tea party recently. We feasted on curry pies, samosas, idli and snowballs…what a treat to be in such great company but also to reconnect over the treasures that we relished from our childhood in Durban. Devi Sankaree, Joanne Joseph, Aasra Bramdeo, Krivani Pillay and Uveka Rangappa…thanks so much for a delightful afternoon at Holi Cow with loads of giggles! 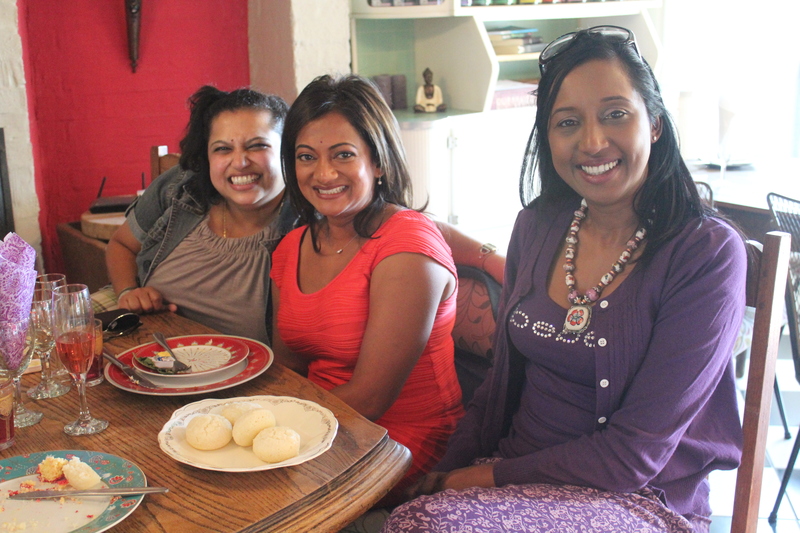 Phenomenal women…Krivani Pillay SAFM, Devi Sankaree Govender – Carte Blanche, and Koo Govender – Phakama Women’s Academy…enjoying the treats at Holi Cow! I have been making idli flat out since and there seems to be a bit of a revival…some people have rocked up at Holi Cow desperately seeking one, and others brought their kids over to give it a try…some have sent their kids to urgently collect! It gladdens my heart to know that there is so much love that can be shared through food. I used fresh yeast for this recipe…you can use half the quantity of dried yeast if you prefer. I prefer the fresh yeast though….might be my imagination but I think there is a difference. I have to say that I can be quite superstitious and old fashioned with baking. There’s also been quite a few queries about where to get fresh yeast…it used to be available and kept in the refrigerated dairy section in supermarkets. With so few people baking, fresh yeast isn’t always available. You can pop through to your local supermarket and get some from the bakery section. It is inexpensive and good supermarkets are happy to share…I normally get my yeast over the counter at the Broadacres Superspar or Hobart Superspar…I don’t think you would have much luck at Woolies or Checkers but the Spars are individually owned and there is a good chance they would help you out…you could also try your local bakery…it sounds like a schlep but it is worth the effort! Take a browse through the blog….I love hearing from you and your comments point me in the right direction…so feel free to drop me a line or two! Place the sugar in a jug, add the fresh yeast and the water. Stir well to dissolve and leave in a warm place. Bubbles should appear on the surface – if not it means that the yeast is inactive. Place the self raising flour in a mixing bowl. Add the rice flour, semolina, maize meal and salt. Make a well in the centre and pour in the yeast mixture. Stir well to combine and ensure the mixture is smooth. Cover the bowl with plastic wrap and leave in a warm place for 3 – 4 hours or until the mixture has doubled in volume. The batter should have large bubbles on the surface. Bring 500ml water to boil in a 24cm AMC pot. Place an insert ring with a 6 egg poacher on the pot. Grease the poaching cups with non stick spray. Spoon the batter into the cups – it should be about 3/4 full. 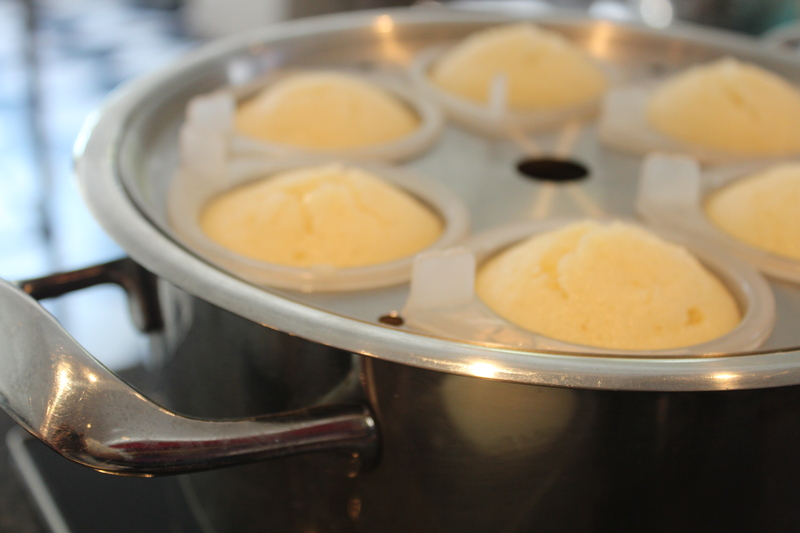 Cover with a tight fitting lid and steam for 12 – 15 minutes or until a skewer comes out clean with the idli is tested. What a great idea to have all these lovely ladies around the table for snacks and conversation.It has inspired me to do the same but with my aunts from both sides of the family.I grew up in a large close-knit and proudly Andhra home where good traditional food and a happy noises were the order of the day.This would be an opportunity to reminisce,eat and laugh with loved ones.